Mumbai's streets are generous for those who need a late-night byte-Partying -dancing.Mumbai baikars wanting the luxury of a drive ,on empty roads for a late dinner ,preferably without leaving the car.For insomniacs with an appetite this city has a greater heart indeed. There is an official closing hour for all the restaurants ,but the shops remain open even after the closing hours. I don't remember the names of the hotels,neither the number ,but there are many. You could see men sitting opposite to the Juhu 's famous Amar juice center .They sells Tawa Pulau parcel even long after the juice center got closed late night.It's pleasing experience to give a try for one.They are usually available till 4 am in the morning . Juhu is filled with people in late nights .Just see the people who are waiting for the bus .Continue straight past the Grant Road crossing to emerge in Sandhurst road,and enter Bohri Mahalla from the null bazaar municipal market. In the year of 2009 we went to Kerala from Bangalore . 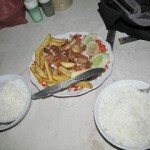 One of our friend was from Kerala .He was from Alappuzha district in Kerala. 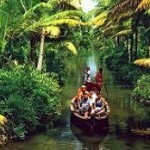 Backwaters of Kerala is the uniqueness in Kerala. One could see backwaters only in Kerala in the whole world. What makes backwaters interesting ? Traveling through the backwaters of Kerala. 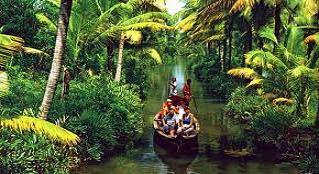 The main enjoyment for the backwater travel is the visibility of life internal to Kerala. People in and around Vembanad lake use travel through water are their main source of transportation. This make the life scene different .You could see boat stops instead of Bus stops and auto stands. You could see people carrying newspapers for the house in mornings. Vegetable sellers carrying vegetables in boats in the morning for the houses. Hi all great way to help you with information for your india travel . 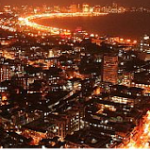 India travel website proudly presents indian travel blog ! Our travel experience and suggestions will be listed here.